Although we primarily select topics that allow us to express our undying love for all things related to the marine world, today we are branching out to bring you an amazing story that should be making international headlines. So I feel privileged to write about it in this humble boating blog. 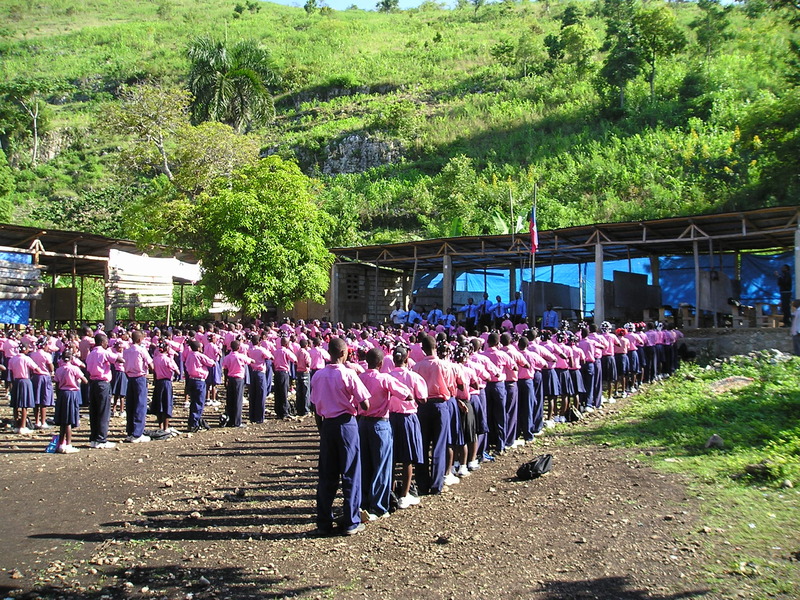 I find it safe to say that everyone remembers the day Haiti was struck by that catastrophic earthquake in 2010. The devastation, particularly in Port-au-Prince, was aired around the world for weeks, resulting in a total pledge of $11 billion in aid world-wide. Two years later, lost in the media shadows of major news networks, Haiti is still struggling to get “back on its feet”, for lack of a better expression. In the end, $ 4.3 billion in aid arrived and $1.2 billion has been spent, primarily on rubble removal in Port-au-Prince and other cities most effected by the quake. Today, most of the rubble is gone and there are really inspiring things happening. 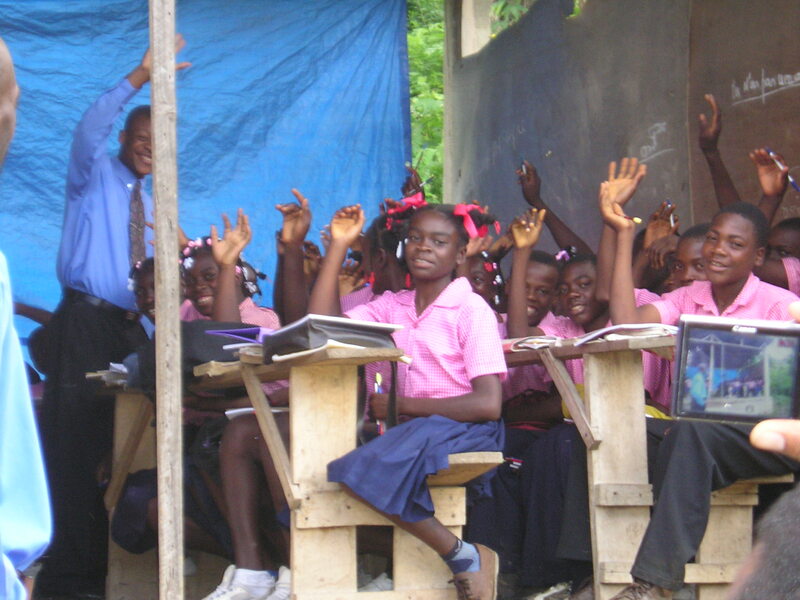 One of our own from the yachting community, Dave Mallach of Vicem Yachts is working on a project that will provide a new future for 568 children living in the mountains just outside Port-au-Prince. 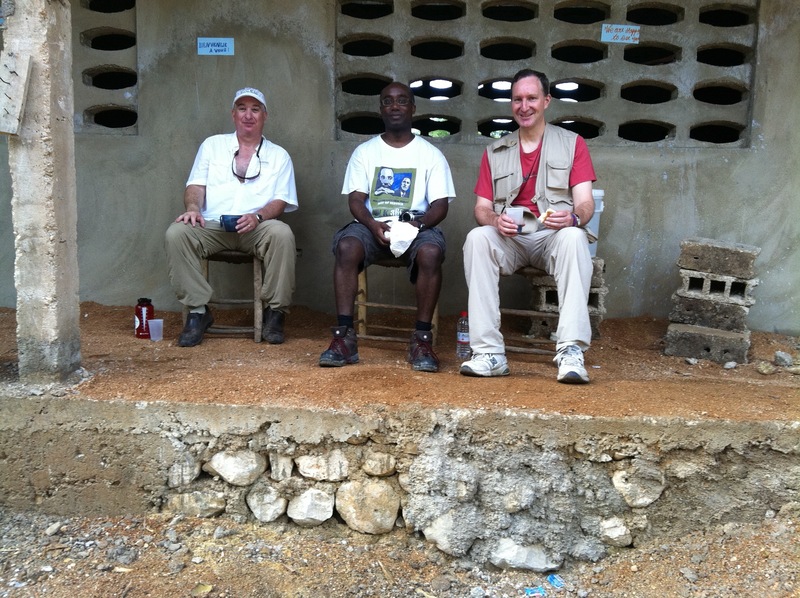 As the Development Director for Haitian Support, he and his team have been rebuilding a school in Bodarie. Bodarie is a farming town consisting of an estimated 10,000 people living without electricity, running water, municipal infrastructure and with few government services. So the effect a new school will have for everyone living in the area will be positively immeasurable, and not only for the students, as its construction process has created dozens of jobs for people in the community with wages higher than the average prevailing wage in Haiti. Our brilliant team in Haiti designed and built a 28,000 gallon concrete cistern under the floor of the most elevated classroom. Rooftop gutters collect rainwater and funnel it down to the cistern. As you might expect, it rains a lot in the mountains of Haiti (Bodarie is at an elevation of 2,000 feet) and 10 hours of rain is enough to fill the cistern. Gravity drives chlorinated water down to faucets in the village. Instant water-pressure! The resulting productivity to the village is clear, but the health benefits are even more remarkable. The creek was not always clean. The largest health concern in Bodaire is water-borne parasites. Most of the kids are affected by this, historically. I now believe that scourge has been largely eliminated. At the beginning of this year our team at Haitian Support was able to do something remarkable, by instituting a school food program. This week was my first chance to see it. Historically kids would walk 3+ hours to school, learn all day, and then walk home very hungry. You can imagine the ramifications of this. Now we have a kitchen and staff, and they provide enough food to feed 560 children each day. It created six jobs, and the results are amazing to see. Plates of rice and beans that too large for me to finish are inhaled by seven-year olds, leaving not a grain of rice. I fully expect to see substantial improvements in average height and weight in the out-years, as measured by our annual January medical trips. As I learned more, it became apparent that when it came to this project, Dave was all heart. For him, the new school holds relevance on a broad scale. Not only will the school provide greater opportunities for the children, but it’s effect will grow and manifest in ways we have yet to understand or measure. It’s an impact not for 568 students, but 568 students and anyone else they may impact in the years ahead as a residual effect of their education at Bodarie. Fundamental big-picture change in Haiti, change that means that the Haiti of 2050 will not be the Haiti of 2000, will require a Lincoln or a Mandela. Leaders like that come by every century or so. My answer is unequivocally, yes. The level of compassion and generosity of our donors, the work put in, the uncompromising integrity of every member of our team, the cumulative result of rational analysis and planning, the overall and immeasurable concern and humanity of the friends of Bodarie, all these things must point us straight at success. His uplifting attitude is contagious as I find myself completely inspired while writing this. No contribution has been wasted or spent frivolously. A project like this, directed with such heart and integrity, is one Sarasota Yacht & Ship can definitely stand behind. Upon its completion, the school will consist of nine classrooms, an administrative office, modern bathrooms, and a 27,000 gallon rain-fed reservoir. The total cost will be $180,000. 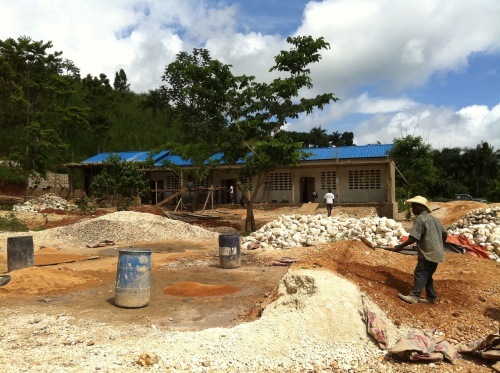 All but $50,000 has been raised, and the new school is half built. The goal is to have the final funding in place by the end of 2012 and finish the school And they aren’t stopping there, the organization plans to build 10 more school over the next 5 years.